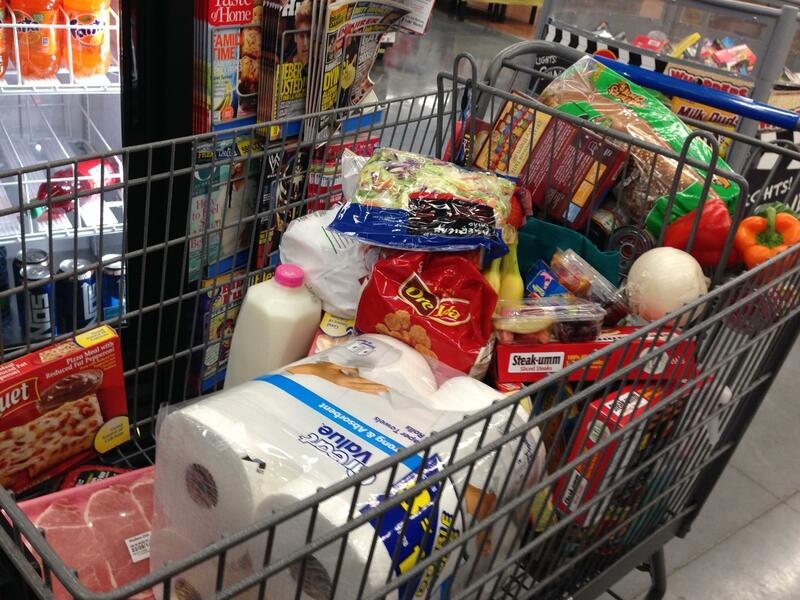 Should the contents of this, or similar, grocery carts be used to determine the poverty line? The federal number was developed in the early 1960s by an immigrant named Mollie Orshansky. She worked at the U.S. Department of Agriculture and wanted to figure out what it would take to live a healthy lifestyle. At the time, families spent about a third of their income on food. So to figure out how much someone needs, she added up how much people spend on food per year — a basket of potatoes, milk, onions, and the like -- and multiplied that by three. Adjust that number for inflation and voilà, you’ve got your 2014 poverty line. “I can’t even imagine trying to live on $23,000 a year," says Erin Pope, a community-service aid for the Margate police. "Pretty much everything we make is going right back out again in one fashion or another." Pope's household income is about $52,000 a year. I tagged along with her to do groceries, to see if Orshansky’s model would still lead to what the federal poverty line is today. We met outside a Wal-Mart in north Lauderdale. Pope worked over the store like a professional, weaving in and out of the isles, making decisive purchases, occasionally consulting shopping apps on her phone to find the best deals. “I go and look over the [Publix and Winn-Dixie] apps to see what’s on sale. I also look at the digital coupons I have so I know what to buy where and where would be cheapest,” she says. She predicted the night’s outing would out her back about $100, which was just $4.83 less than what she actually spent on the food items. “I try to run it in my head as we’re shopping so I don't have too many surprises when I get [to the cashier],” Pope explains. 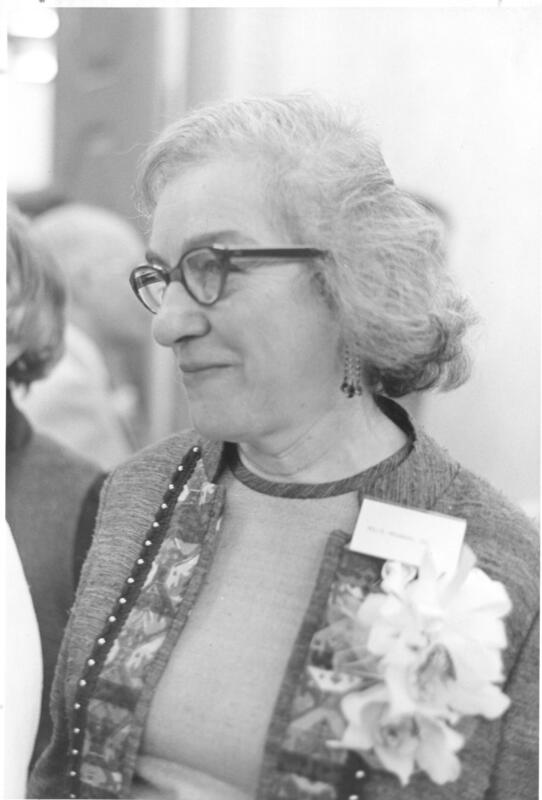 Mollie Orshansky, the woman behind the poverty line. So now, some math: Pope said she would spend about $60 more over the next few days for items the Wal-Mart was out of, or food her family eats through the week. Add that to the $104.83 from her initial grocery trip, and multiply that number by 52 weeks in a year, for a year's estimate in food costs. Then multiply that number by 3, as dictated by Orshansky’s formula, and you get $25,713.48. That’s close enough to the current poverty level to say Orshansky’s model works, applied to a cart of food today. But Pope makes twice that and says she still has trouble making ends meet. There are other major financial strains on her family: mortgage and childcare costs that take up a big part of their income. “At this point any loss of income ... we would lose our house. We would lose everything,” Pope says. Amy Glasmeier is a professor of economic geography and regional planning at MIT. She used federal and state data to develop what she calls the Living Wage Calculator back in 2003. “There was a huge difference between what a living wage was and what the minimum wage was," Glasmeier says. "And then, of course, the poverty rate is below that. And what we wanted to show people was that if you did not make a living wage, you were unable to cover just the basics." Even the federal government looks at people considerably above the poverty line to figure out who should get help. Glasmeier’s estimate of South Florida’s livable income? Between about $45,000 to $47,000 depending on where you live, which is pretty close to the number our survey responders came up with. So there is clearly a gap between the poverty line and what a reasonable estimate of how much it takes to get by. Glasmeier thinks a "Protestant work ethic" is part of the challenge. “I think that we as a society somehow have a mindset that says ... we feel it's important for everybody to carry their own weight," she says. She says we've lost sight of whom that original poverty formula was supposed to capture. Today, there's not a lot of incentive nor movement to actually change the poverty line, but we still use it. It does tell us something, though: Who the poorest of the poor are. In Florida, that's one of every six residents. But because we don't use a livable-wage metric, it's more difficult to calculate how many people are having trouble, in Glasmeier's words, covering the basics. The U.S. House of Representative voted Wednesday to approve a new farm bill after a two-year standoff. It cuts $8 billion over the next decade from the Supplemental Nutritional Assistance Program, also known as food stamps, but the brunt of those cuts won’t be felt in South Florida. The food stamp program accounts for almost 80 percent of the current farm bill. With pressure to reduce spending, it was inevitable that the program would be scaled back.